First influence, then catalysts and now storming into what can be conveniently called last male bastion – Real Estate. 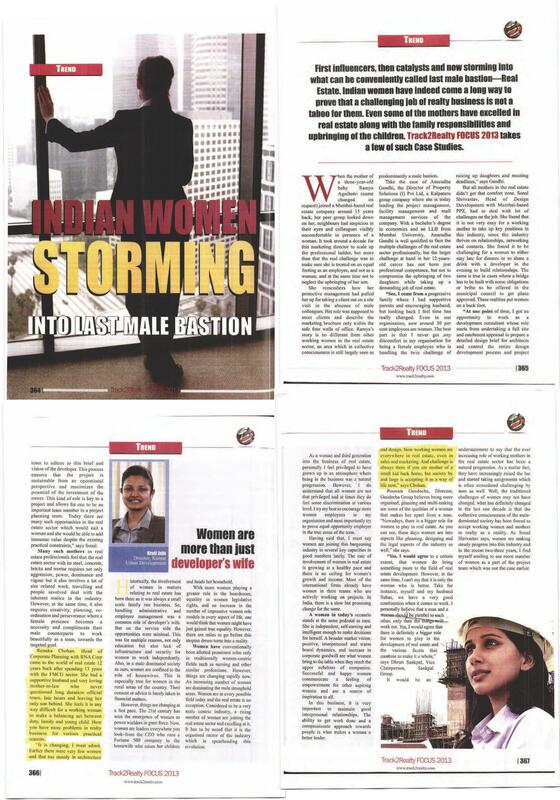 Indian women have indeed come long way to prove that a challenging job of realty business is not a taboo for them. Even some of the mothers have excelled in real estate along with the family responsibilities and upbringing of the children. — with Renuka Chohan.